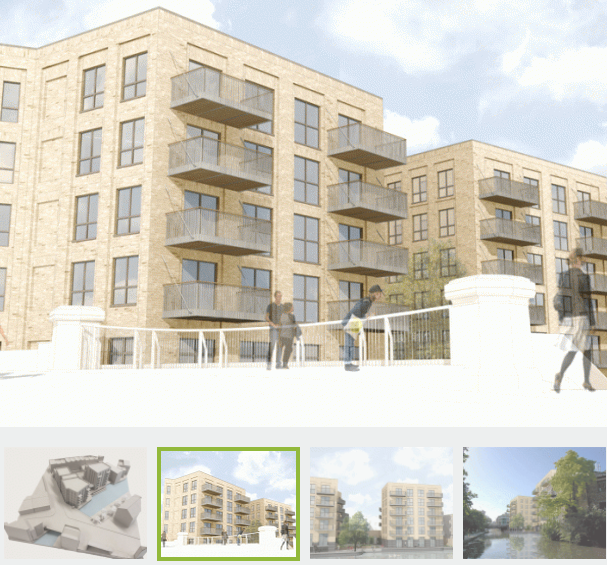 The block of flats proposed by One Housing Group on the old EDF depot site has been refused permission by the Planning Inspectorate. Details of the decision. 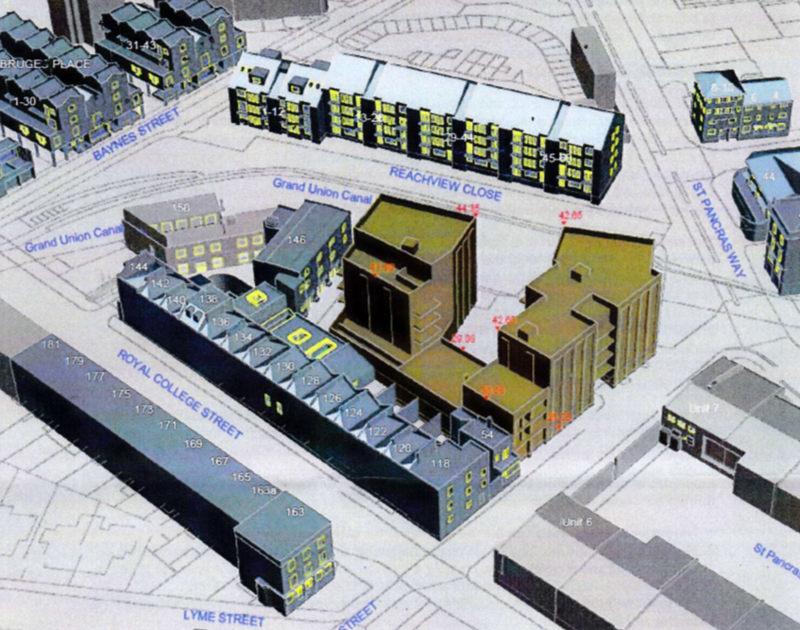 The Camley Street Neighbourhood Forum will give an update on the planning and development going on in Camley Street. This will include the plans of a coalition of businesses and residents to develop social housing, green space, and low impact businesses. Meeting 18th May 18:30 in the Camden Garden Centre, Barker Drive. All welcome. Future view from Camley Street Bridge? 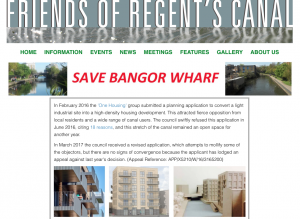 Friends of Regent’s Canal are urging local residents to oppose the planning application by One Housing Group to build flats on Bangor Wharf. Deadline is 16th May 2017. More information on FRC website. 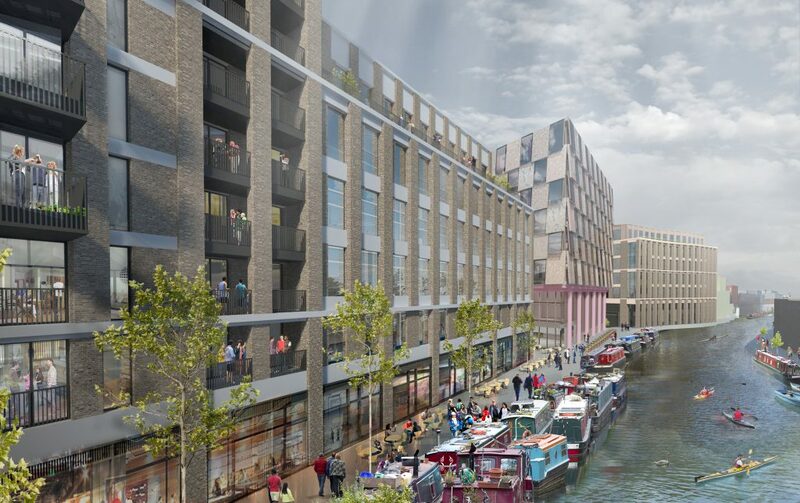 This is what the canal will look like north of the Con once the One Housing Group development is complete. 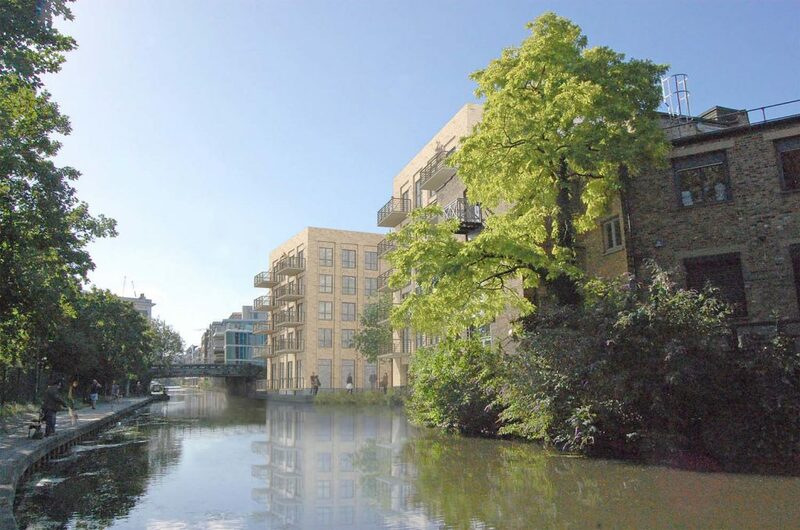 Residents can comment on the planning application at Camden Planning until 12th April 2017. The development at 101 Camley Street (formerly DHL depot) has been discharging gallons of water daily since before Christmas. The site is owned by Market Tech which also owns Camden Market and is backed by a billionaire. The facilities manager has made repeated requests to Thames Water to fix the problem. 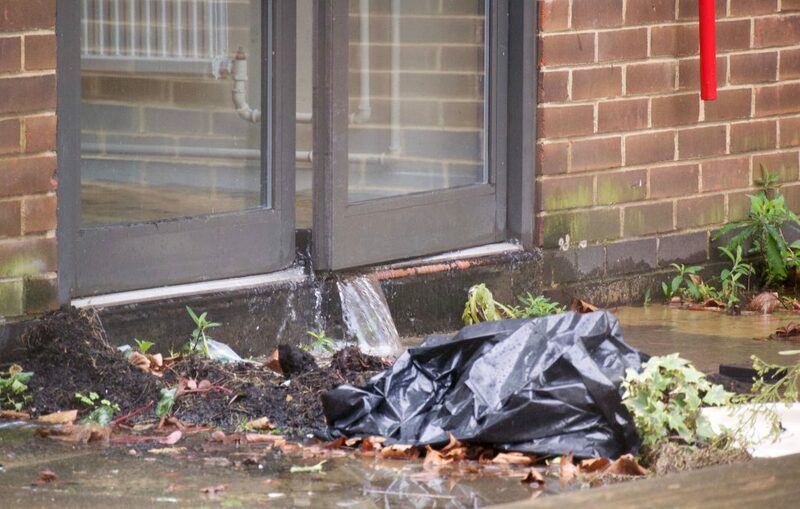 Thames Water have not fixed it claiming it is the responsibility of the property owner. 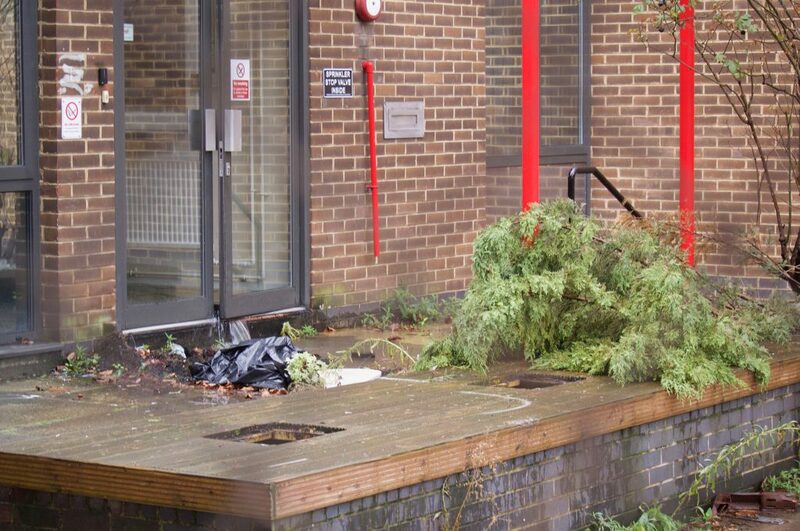 The site was vandalised and thieves removed the water meter which led to the flooding. On the one hand, this is a private property matter, on the other, EVTRA is a neighbouring community and as such a stakeholder group. As individuals, many residents make extra effort to conserve water. Market Tech is a multinational corporation that desires to be a good neighbour with environmental standards. One would think that a major property developer would have access to put an engineer on site to fix the leak. Instead, a branch torn from one of the fir trees has recently been placed in front of the leak.